Power 1,75 / 3,5 kW. 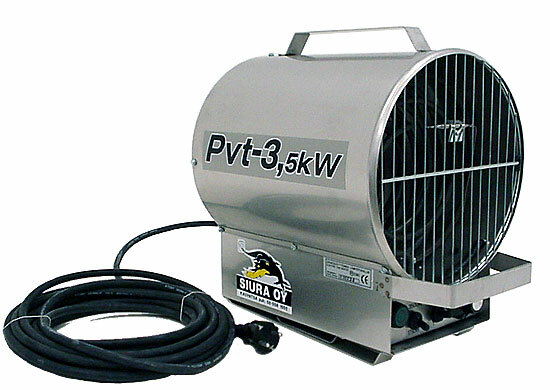 S 3 PVT is the smallest model of our category for combustible conditions. Small size makes S 3 PVT appropriate for combustible conditions where heater is often moved around or only 230 Volts is available. S 3 PVT is made of stainless steel as other PVT-models also. Right control switch: continuing air flow / air flow when heat is on by the thermostat. Overheat controller button on the back of the heater.